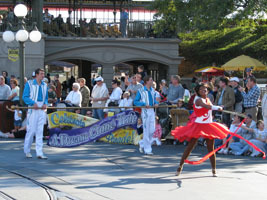 Mousesteps Denise shares photos and video from the first “Celebrate a Dream Come True” parade at the Magic Kingdom! 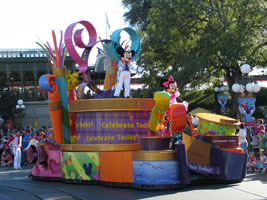 She enjoyed the catchy new music and thought it was one of the better recent parades – the best since the “25th Anniversary Remember The Magic“ Parade! 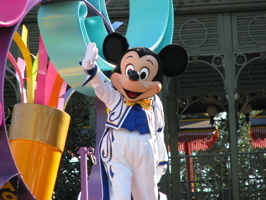 (Below left), Mickey waves to the crowd. 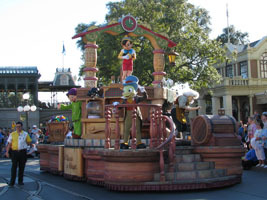 (Below right), Pinocchio tops the float with Gepetto and Jiminy Cricket. 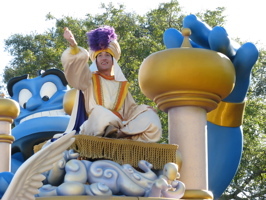 (Below left), Aladdin and the Genie. 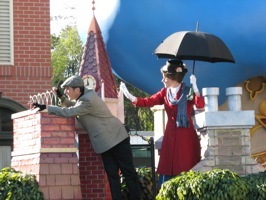 (Below right), Mary Poppins tries to get Berts attention. 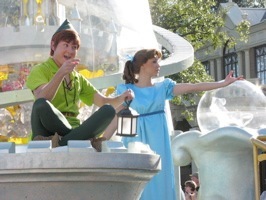 (Below left), Peter Pan and Wendy. 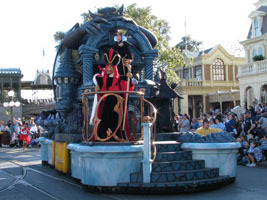 (Below right), the Villains float, which includes Ursula on the back. 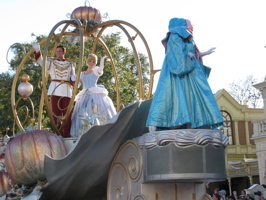 (Below left), Cinderella with her Prince and the Fairy Godmother. 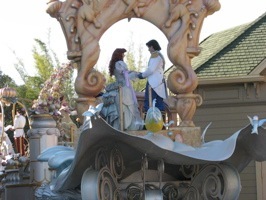 (Below right), Ariel and Eric ride off into the sunset – or at least offstage! 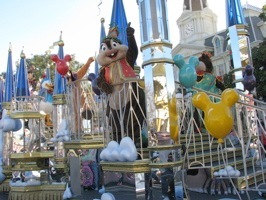 (Below left), Chip celebrates with other characters – including Donald and Goofy. 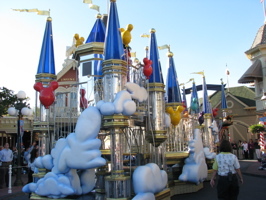 (Below right), the back of the float. There are parade stops, but she didn’t see any during the video she took – and the parade went by very quickly (in about 11 minutes). 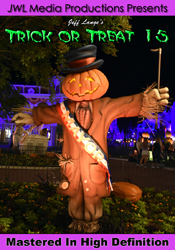 She dashed down to Main Street to take photos near City Hall, and was able to videotape one parade stop with Mickey and Minnie. 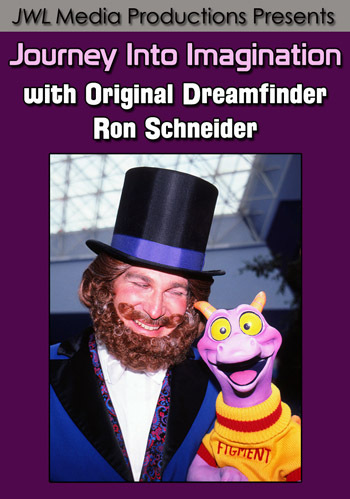 She will be putting photos on her site soon (once it’s fixed, she’s not been able to add new blog posts for a couple of days now). 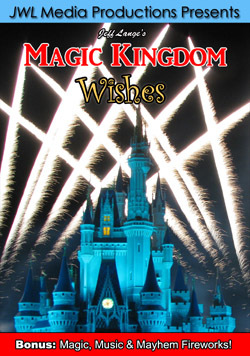 Please check back tomorrow for a complete video of this great new Magic Kingdom Parade! 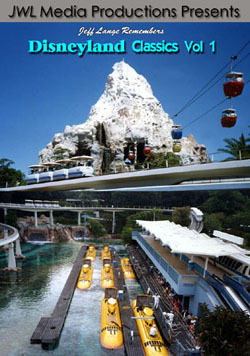 UPDATE: Part 1 of the parade is below. 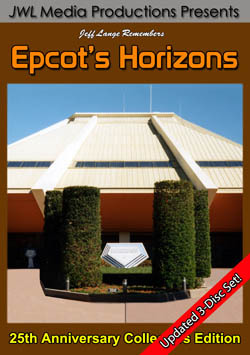 Part 4 (the parade stop featuring the Mickey Mouse float) is available HERE!